Now in its eleventh year, the Superyacht Design Symposium invites the superyacht industry to share and compare concepts and experiences stimulating authoritative and, at times, controversial debate to positively influence future superyacht projects. The biggest names in superyacht design are joined by experts from the wider design community for two days of discussion about yacht design. With the support of our valuable partners, the 2019 Symposium will take place in a new location: Cortina d'Ampezzo, Italy. Confirmed partners so far are: In Association with: Riva, Perini Navi, Audi Event partners: Oceanco, Videoworks, Design Centre Chelsea Harbour, Sabrina Monte-Carlo, Azimut Benetti, Clyde & Co, CRN and Masi. Ski Cup partner: Perini Navi, Moncler, Technogym Click through to find out more about each sponsor. Now in its eleventh year, the Superyacht Design Symposium invites the superyacht industry to share and compare concepts and experiences stimulating authoritative and, at times, controversial debate to positively influence future superyacht projects. The biggest names in superyacht design are joined by experts from the wider design community for two days of discussion about yacht design. With the support of our valuable partners, the 2019 Symposium will take place in a new location: Cortina d'Ampezzo, Italy. 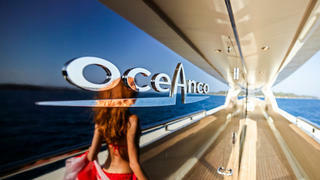 Event partners: Oceanco, Videoworks, Design Centre Chelsea Harbour, Sabrina Monte-Carlo, Azimut Benetti, Clyde & Co, CRN and Masi. Click through to find out more about each sponsor. Riva is proudly supporting the Superyacht Design Symposium 2019 for the first time in association with Boat International Media, deeply committing into the development of future projects in superyacht design. 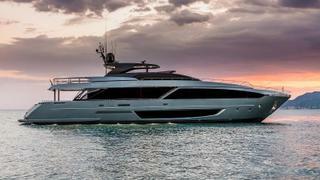 In 2017 Faper Group, founded by Mr. Fabio Perini, opened the share capital of Perini Navi to a new investor: Fenix Sri. 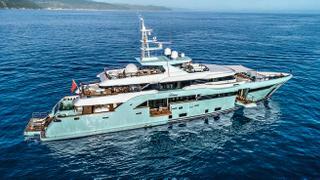 The entry of Fenix has paved the way for many new developments in Perini Navi. The Perini Navi fleet consists of 62 yachts, 59 sailing and three motor yachts, with a dynamic range that varies in size from the 25m Elettra to the 88m Maltese Falcon. Audi Italy will be present at Cortina's Superyacht Design Symposium 2019, recognizing the event's ability to combine emotion, performance and exclusivity. Locality partner since 2017, the four ringed brand’s activities in the territory are distinguished by a rigorous consistency with its brand values. Indeed Audi is examining far-reaching solutions which anticipate the future and define its direction, always with the maximum attention to different mobility needs, and to the role that it can play in a sustainable development perspective. Accordingly the Ingolstadt car manufacturer is pursuing with determination all possibilities that lead to sustainable mobility, ranging from electrification to the use of alternative fuels without compromising performance. A commitment that today takes shape in the carbon neutral certification of an increasing number of production sites, in the increased efficiency of traditional engines, and in the development of electric, methane, fuel-cell, hybrid plug-in and mild hybrid technology. 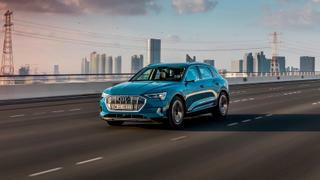 The path to zero emissions involves the commercialization of the Audi e-tron, the first all-electric car series, and by 2025 as many as 12 new all-electric models. This Brand strategy, defined as Road to zero emission, also includes the commitment made by Audi to support the One Ocean Foundation, a project focused on the conservation and protection of the marine environment and dedicated to environmental sustainability. The Audi Group with its brands Audi, Ducati and Lamborghini is one of most successful premium manufacturers in the automotive and motorcycle sector. It is present in more than 100 world markets and operates 16 manufacturing plants in 12 countries. In Italy, the Audi brand ended 2018 as the premium brand leader for the 10th year in a row, with sales of around 63,000 registered vehicles. Audi Italy is the fifth largest sales market in the world after China, Germany, the USA and the UK. 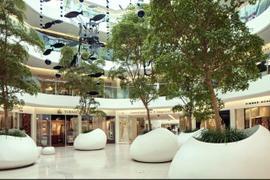 A commitment to design excellence has put Design Centre, Chelsea Harbour firmly on the map. The largest of its kind in Europe, it is well-established as the place to discover world-class talent and exchange ideas with established makers, emerging innovators and luxury brands. Expansion has been a defining feature lately, with new ways to support and champion the best in international design. 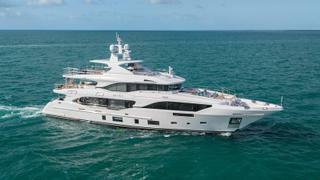 For the ever-evolving world of superlative yachts, success is not founded on chance. It is almost always the result of great creativity and clever concepts. No wonder Design Centre, Chelsea Harbour is such a relevant hub for yacht designers, architects, owners and style-seekers who fly in from all over the world to see what is on the style radar there. Whether seeking an aesthetic that is luxe or laid-back, nowhere else will they find such a high concentration of the greatest names in design, all at one address. A wealth of creativity from over 600 international brands meets the exacting standards demanded by the marine marketplace and the needs of a savvy clientele. 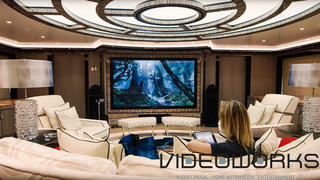 With a reputation for providing imaginative solutions for the world’s most prestigious yacht projects, this sophisticated collective is unseen anywhere else. Carefully selected for their impeccable credentials, 120 international showrooms present a treasure trove of peerless products for new-builds, as well as refits and refurbishments. High performance products, skilled workmanship and technical ability lie at the heart of the offering, while fresh approaches to colour, shape and pattern channel the rising spirit of individuality that is in the ascent. Details like exquisite materials and finishes are at their best close up, and visitors can experience them in person on every floor, as well as seek out specialist expertise from the knowledgeable showrooms. Many have long-term relationships with designers and the collaborative nature of project work leads to impressive results. Bespoke work is another forte – with countless companies creating tailor-made pieces to give a point of difference, providing clients a rare level of access inside the creative process. With strategic expansion on the horizon, some highly influential names moving in and the Design Avenue on the way, there is an exciting energy at Design Centre, Chelsea Harbour. With its undisputed momentum, it continues to evolve and develop with its confident approach. Since 1999, Sabrina Monte-Carlo has become Monaco’s one stop destination for all yacht furnishings from furniture, to fabrics, tableware and decorative pieces. The company now counts three stores in Monte-Carlo including a furniture and accessories showroom, a multi-brand tableware store, a Lalique shop and a showroom on the harbour of Saint-Jean-Cap-Ferrat. Drawing inspirations from the effortlessly chic Mediterranean lifestyle, the founder, Sabrina, developed a unique style characterized by elegance, contemporary lines, and vibrant colour schemes. She is also helped by a team of 30 talented and multi-lingual professionals including interior designers, interior and naval architects, fabric specialists, tableware experts, graphic designers, logistics managers and a delivery team. 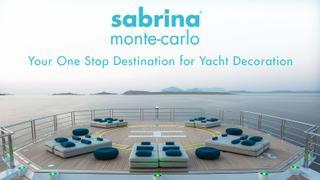 Sabrina Monte-Carlo aims to provide its clients with the most complete service, from research and advisory to the design proposal, the ordering process as well as the delivery and final installation. 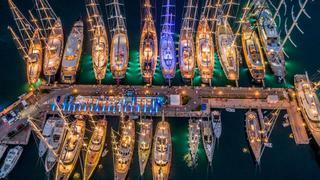 Its portfolio now includes over 150 yachts. Close to the celebration of its 50th anniversary, Azimut Benetti Group, the world’s leading builder of motor yachts, is proud to sponsor the Superyacht Design Symposium 2019. 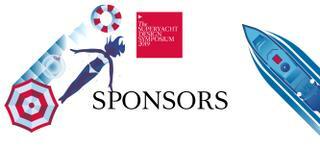 CRN, the global beacon of excellence in Italian shipbuilding, is proud to sponsor the Superyacht Design Symposium 2019. 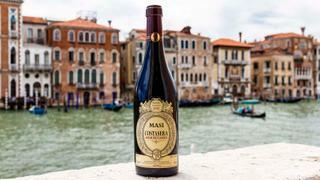 Masi is a leading producer of Amarone and has always been a passionate proponent of the values of the Venetian regions. Its history begins at the end of the 18th century when the Boscaini family bought prestigious vineyards in a small valley called “Vaio dei Masi” in the heart of the Valpolicella Classica area. For more than forty years it has had an ambitious project involving the recuperation of historic vineyards and wineries: working with Conti Serego Alighieri, descendants of Dante the poet and owners of the property in Valpolicella with the longest history and traditions; with Conti Bossi Fedrigotti, a prestigious producer from Trentino famous for its Fojaneghe, the first Italian Bordeaux-blend; and with Canevel, producers of fine quality sparkling wines in Valdobbiadene. As well as this, Masi has organic vineyards at Poderi del Bello Ovile in Tuscany and Masi Tupungato in Argentina. It has acknowledged expertise in the use of the Appassimento method, used since the time of the Ancient Romans to concentrate colours, sugars, aromas and tannins in wine, and it is one of the most historic producers of Amarone. Masi’s president, Sandro Boscaini, comes from the sixth generation of the family that has done so much to make Amarone one of Italy’s iconic products. Today Masi makes five different Amarones, the biggest and most expert range to be found on the export market. Moncler is an abbreviation of Monestier-de-Clermont, the name of the mountain village near Grenoble where the brand was first established in 1952. Right from the outset, the brand has combined ongoing technological research with the expertise of mountaineering professionals. In 1954 it produced the first real puffer jackets suitable for more extreme climates. Over the course of a decade, these were gradually perfected and they went on to play a starring role in major French and Italian expeditions which conquered the summit of Makalù to peaks in Alaska and the world’s secondhighest summit, Karakorum. 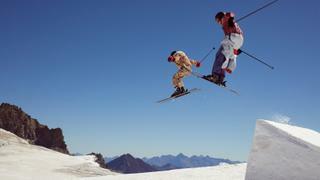 Moncler was definitively consecrated on the international stage at the Winter Olympics held in Grenoble in 1968, when the brand was the official supplier of the French downhill team. Innovation and research resulted in garments that became ever lighter, more aerodynamic and high performing, making them suitable for sporting competitions as well. These garments were the forerunners of the contemporary puffer in all its many and varied forms. After the '70s boom in mountain tourism came the '80s and ‘90s, when the Moncler jacket made its city debut, transforming itself into a cult object with its stitching and “painted” effect in dazzling colours. In 2003, Moncler was bought by Italian businessman Remo Ruffini, the current Chairman and CEO who crafted the strategy behind the global puffer jacket, defining a whole range of unexpected yet high quality aesthetic, functional and technological achievements which successfully combined city and mountain wear. With Moncler, the puffer jacket became iconic, a true classic of the contemporary wardrobe which looks beyond trends, expanding the brand’s confines to embrace every season in the year. The Moncler outerwear collections marry the extreme demands of nature with those of city life. Today Moncler is present not only in the most exclusive ski-resorts, but also and above all, in the most important international cities. On February 20, 2018, Moncler presented a new creative and communication chapter, a vision of the future. A vision beyond seasons able to establish a daily dialogue with the customers: Moncler Genius. If wellness is the buzzword when it comes to improving people’s quality of life, then Technogym is the first synonym that comes to mind. Physical activity, proper nutrition and a positive mental attitude are the core values of the wellness lifestyle promoted by the Italian company. Its technology and design-driven range of cardio, strength and functional training equipment is a testimony to its continuous effort in creating the most exclusive and functional training spaces. 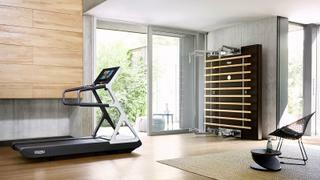 Among its most successful ranges, the Personal line designed by Antonio Citterio literally shines in Technogym’s portfolio. It translates more than 30 years of research and product development into beautiful fitness equipment created with refined materials and exquisite craftsmanship. Workout is not segregated to the gym anymore: today, the most stylish homes and yachts have found their perfect training companions.